It is the dawn of a new century in San Francisco and Delia Martin is a wealthy young woman whose life appears ideal. 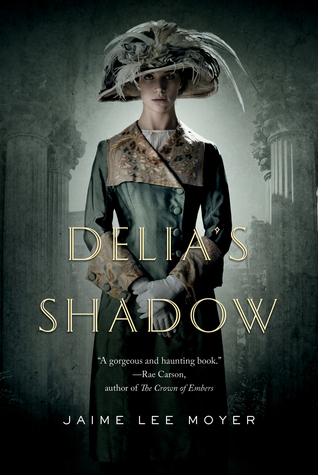 But a dark secret colors her life, for Delia’s most loyal companions are ghosts, as she has been gifted (or some would say cursed) with an ability to peer across to the other side. Since the great quake rocked her city in 1906, Delia has been haunted by an avalanche of the dead clamoring for her help. Delia flees to the other side of the continent, hoping to gain some peace. After several years in New York, Delia believes she is free…until one determined specter appears and she realizes that she must return to the City by the Bay in order to put this tortured soul to rest. It will not be easy, as the ghost is only one of the many victims of a serial killer who was never caught. A killer who after thirty years is killing again. And who is now aware of Delia’s existence. Ahhh, I honestly don't know what to say here. I can't seem to find a silver lining with this book. My biggest problem with this book is that it is SO BORING. There, I said it. Trust me, there are other things that I did not like or enjoy, but that one is the biggest one. If you look on Goodreads, you'll see that I started reading this book on September 15th, two days before the release day (which is more than enough time for me to read a book and write its review, and schedule the post either before the release day, or on it). You'll also notice that I finished this book (marked it as "read") on January 21st. So, what happened there? Was it a loss of interest? Sheer boredom? Timing? It's a combination of the first two - loss of interest and sheer boredom. 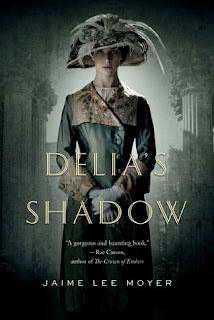 I was so excited to read a historical fiction novel, even if it is during my least favorite century (the 1900s, yes, my least favorite century to read about), even if it involved ghosts. But it was SO BORING. I was a thousand percent sure that this book would be my first "DNF" (did-not-finish) book. I was so sure that I was never going to come back to it - that I would either have it under my "currently reading" shelf on Goodreads for the rest of time, or mark it as "DNF". Well, somehow, on January 21st, I managed to push myself to read through the rest of the novel. I had read about 46% on September 15th, and then couldn't bring myself to read anymore. I skim-read most of the rest of the book, not even bothering to start from the beginning. I think it might have been the author's writing style, but something made this book incredibly dry and boring. The setup of the plot is so dull. There is a murder, and there is a shadow/ghost, and somehow, they connect. I don't like how the author brought about the connection between the ghost and the murders. I don't like the plot of this novel in general. It's so boring. I could care less about what happened to the characters. I could care less about what happened to the ghosts. And I REALLY hated the characters. It's probably apathy, but I did not like them. Delia is pathetic, in my opinion. From what I remember, and from what I read, she is whiny and full of excuses, yet the author insists on portraying her as an independent and "strong" woman. Her and Sadie. Honestly, it does not come off as independent or strong. I found the two of them two be scared and inept for the duration of the book. So, yeah. No character development. For none of them - Delia, Sadie, Gabe, Jack, Dora, Annie, etc. I'm surprised I remember so many names. This book was just BAD, and there were so many characters, and I just didn't CARE. Snooze. The murderer plot was dumb. I was not curious at all as to who was killing people. Honestly, I might have missed that part of the book altogether (this is assuming I remember and/or was awake for most of the book). The romance seems to be pretty important, but then, it seems so silly. Gabe and Delia are quietly obsessed with each other, and it just came off as annoying. I really did NOT like the alternating points-of-view. It's not alternating in the traditional sense. Delia has first person, and Gabe has third person. So it was super irritating to be reading in first person, then third person. It also made Gabe seem really detached. I was not a fan. I thought this book would be amazing because of what I heard about the author's writing style, but honestly, that could have been the downfall of this book, for me. This book was so incredibly boring - I don't know how I finished this book. No. Not at all. It was HORRIBLE. A complete waste of my time - maybe I should have just not finished this one. 1 star. This one could be a 0-star book, if such a thing was allowed. So unfortunate. Ooo, I'm so glad to hear that! I'm thrilled that you think my reviews are helpful. You're quite welcome - and thank YOU for telling me, Alex! January 2014 New Release Giveaway!